Leonard Cohen’s death has been announced. 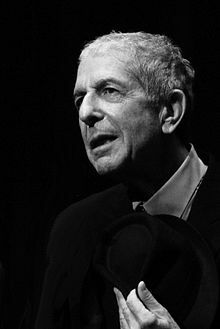 Cohen is the second of the musicians I wrote about in The Late Voice to have died this year. When Ralph Stanley passed away in June, we were reeling from the results of the EU Referendum. Cohen’s passing was announced in the wake of the catastrophic election of Donald Trump to the US presidency. Bad news follows bad news. Cohen had long reflected on the bad times of the present and the bad times to come (‘I’ve seen the future brother, it is murder’), so perhaps there is some poetic sense in his leaving us this week. But that doesn’t make it any easier. His loss is felt deeply by many. Some comfort is provided by the wisdom we are reminded of as we are encouraged to revisit the poetic trumphs of his career. Making my weekly long drive south on Thursday, one of the last albums I listened to, as night thickened around the London Orbital, was Cohen’s very recent You Want It Darker. Listening to the title track, particularly the parts where Cohen sings ‘hineni hineni’, I developed the fancy that perhaps Cohen would continue to live until his voice became so deep we humans could no longer perceive it. He would disappear into the depths of his own voice. In the end that wasn’t to be, but he got a lot of the way there. Cohen always sounded older than his years, even when the only way he sounded was through the pages of his poetry and prose. Making the move to music in the late 1960s, he was notably older than many of his peers in the singer-songwriter world. It has always been his gift to channel that maturity into songs that showed that wisdom has a place in everyday culture, that lives lived can be lives shared through the medium of popular song. And we always believed him because he seemed so genuine, so human, so attuned to the dialectic of joy and melancholy that constitutes the human experience. When I started to think about trying to communicate my ideas about late voice in book form, I knew I would have to include Cohen. In the end, I decided to place him alongside Frank Sinatra, a connection that worked in my mind but one which I’m not sure others would feel comfortable with. The results are what they are and I don’t know whether this was the right way to approach Cohen. Perhaps I should have given him a chapter to himself – there was certainly much more to be said. Today, I’ve made the pre-publication draft of that chapter available here in celebration of Cohen’s life and work. The material on Cohen kicks in towards the end of p. 26. 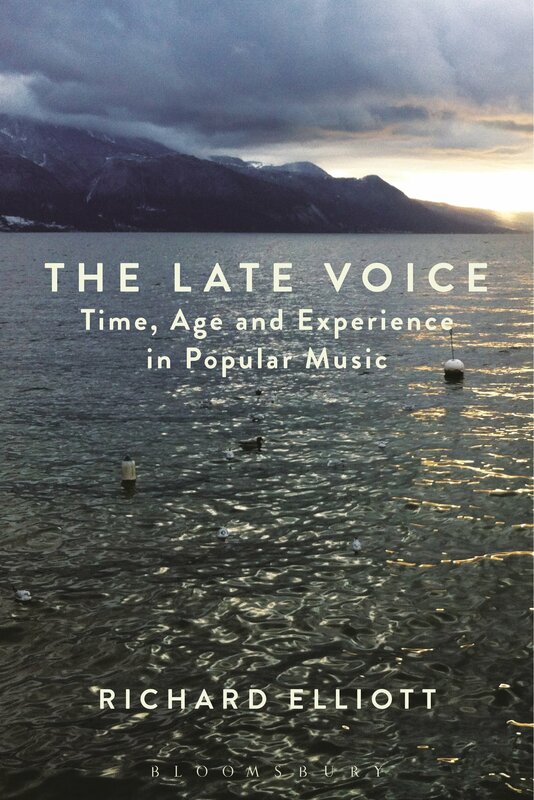 This week sees the publication of my third book, The Late Voice: Time, Age and Experience in Popular Music. The book is being published by Bloomsbury Academic initially in a hardback edition. A cheaper paperback edition will be published at a later date. I’ll be posting excerpts from the book on this site, along with additional material and links to audiovisual material related to the book’s main topics and case studies. In the meantime, more information and a preview of the book can be found here. Here is a link to a piece I wrote for The Conversation on ageing pop stars. It was partly prompted by the discourse surrounding Burt Bacharach’s upcoming concert dates but more by the work I’m currently doing for my book The Late Voice: Time, Age and Experience in Popular Music.